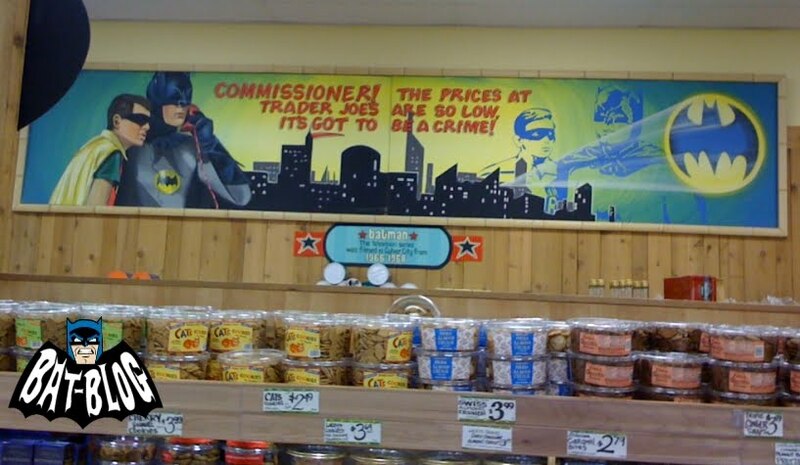 It has gone too long without saying, I ♥ Trader Joe’s. TJ’s has been there for me as few grocery stores have. It started out, in my world, as the place to go to get reasonable wine and beer and maybe a few party snacks to go with them but it has evolved into a place to reliably buy grocery products that enhance quality-of-life for its customers on the value and quality front. I moved to LA from NY in 1987. Trader Joe was a definitely an established store but it was mostly a place that you went to if you and your roommate were audacious enough to plan to have a little party on your lowly lackey salary or Film School stipend and you wanted to have peanutbutter-filled pretzels and heated up stuffed mushroom caps along with the well priced bottled beer and wine. You just had to be willing to try some odder labels in the beer department and as we all now know, a $7.00 bottle of wine from Australia has much going for it. TJ’s still wasn’t a replacement for the grocery store unless you were willing to go with the flash frozen fish filets and chicken breasts. It wouldn’t be until years later that you could also pick up fresh meat, produce and paper products to round out the shopping. The first Trader Joe’s was opened in 1969 in Pasadena, California, a well-to-do city in its own right but also certainly a part of Greater Los Angeles. I couldn’t get the website to deliver the info of how many stores there are currently but an interactive map allows you to roam about the country and seeing their icon pop up and as a chain they are still growing and popping up in major cities across the country. There seem to be about 70 stores in the Southern California area and 10 in the Bay Area (fewer than I thought). I know there was one in Eugene, Oregon when I visited in the late ‘90’s and my home town of Scarsdale, New York got their store in the ‘90’s also. And from the Cascades to the Hudson people certainly get it – Trader Joe’s is a boon for the personal budget and so the store is always busy and parking competitive. And also they provide some unique products that people swear by, like Vegan Chocolate Chip cookies, frozen pizzas imported from Italy and heavenly frozen chocolate ganache cake. Their frozen mac and cheese and heat-up-in-a-skillet gnocchi are also excellent tasting. You might see the equivalents of some of these products in specialty grocery stores, but usually at twice the price. The Trader Joe’s brand of dark chocolate peanut butter cups are so good I can no longer eat the market standard, Reese’s, because those now taste chemical-y and overly sweet. Trader Joe’s does have some misfires, of course, and I think those are in the entrée department and sauces. And we have become attached to some products, like frozen pierogies, that they discontinue if those products are not selling big enough. Keeping their inventory limited is part of their strategy for being successful with less square footage than your average supermarket and it is what helps to keep their costs low. Their level of customer service has always been quite fine, too, including having little treasure hunts at certain stores to amuse the kids, with a little box to select a silly prize from if your child finds all the pelicans or pirates or whatever that store uses for its easter eggs. Am I gushing unabashedly? Is my affection for their business model and product over the top? Perhaps. But I know that absence makes the heart grow fonder and for the 6 months that I sojourned in Miami, Florida back in 2001, I came to understand that I couldn’t really feel at home there. 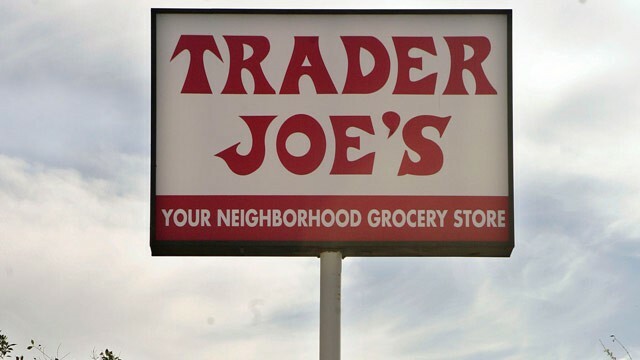 And one of the major reasons, Reason #3, in fact, that made the city unviable for me (soul killing humidity and an unrelentingly flat landscape being Reasons #1 and #2) was…no Trader Joe’s. It was just too hard. No amount of arepas, viejas rojas or alfajors could fill the void. And of course the beer and wine that brought us all there in the first place. They carry a lot more variety now than they did twenty years ago, including Scrimshaw and Redhawk’s Red Tail Ale, two of my favorites. I’m not thrilled with Two Buck Chuck but they have a $4.99 dollar bottle of Chianti that’s plenty good enough for me. And have you tried these? 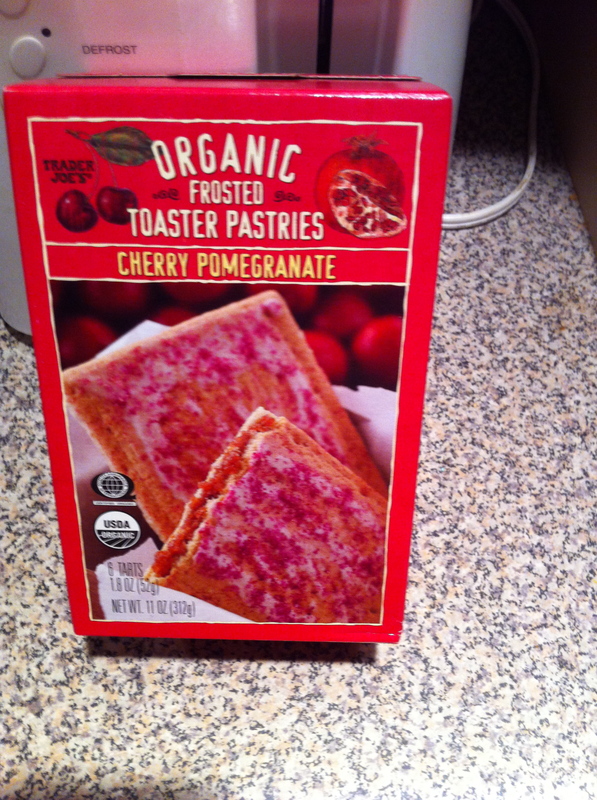 I don’t even like poptarts but these sounded intriguing. I now have to get two boxes each time because they go fast. And if I had to pick one thing as my Most Valuable Player I think it would be The Salsa Verde. I think the price has crept up from $1.49 to $1.99 in the twenty-odd years that I’ve been buying it. Talking about quality of life, I try to make sure I always know where my next bottle is coming from because I would get very cranky if we ran out. And yes, I brought jars of it to Miami with me when I needed to pop back to California in the midst of my six month stay. So what are some of your TJ’s MVP’s? If anybody is willing to share their can’t-live- without-it Trader Joe’s product or a TJ’s story, I’d love to know. You’re right to promote such a way of consuming ! Here in Europe more and more biological products are proposed in the shops and that’s great ! Thanks BJC. In Europe you all seem to understand it’s best not to genetically modify your food too. So good on ya for that! You just reminded me of a fun youtube video about TJs — several years old, but still feels relevant. Oh wow. It’s brilliant! I never saw this, thanks so much for pointing it out, Dawn. And I love the song it’s based on by Antonio Carlos Jobim. Aguas de Marco/Waters of March. The salsa verde is truly great. My wife makes a wonderful chicken stew with it. We also always have some of their spanikopita in the freezer. I am wary of their produce. According to a friend in the business they specialize in what’s known as “distressed produce”. This is stuff that is close to the end of its shelf life. I’ve brought home bags of arugula or cucumbers only to find them molding a day later. Yes, agreed their produce is so-so and I only pick an item up in a pinch. Though their baby spinach is what I use to make spinach hummus. Don’t miss the new Cookie Butter (delicious spread on ANYTHING) and the coconut chips. Yum. I love that there is always something new to tempt the tastebuds or stimulate the creative gene in the kitchen. TJs cookbooks are great, too. Wholesome and easy to prep meals with fresh ingreds. Thanks for your post. A must do shout out to TJs…most of us can’t remember our pantry or refrig without TJs. In a short time, it has become a staple…and a delicious one. Great, I’ll check out the Cookie Butter! (Though I’m a little afraid I will love it too much.) I’ve seen cookbooks that tweak TJ’s products but haven’t pursued those. You’re right about TJ’s lasting impact – nice to have you visit, thanks! Just got back from shopping there lol. I still usually have to hit up a costco for paper towels and what not but for food TJ’s is the way to go. Another nice thing is they actually pay a decent wage with benefits for anyone working over 30 hrs. I have some friends that have worked their for years. Yeah agreed, it’s definitely not a one-stop shopping trip. But they do have greeting cards… It’s good to hear they treat their employees well. Not enough of that these days! I appreciate TJs more than ever with the bad economy. Also places like While Foods haven’t kept the integrity of their original brand, but TJs has even as the evolved to include produce and meats etc. their frozen croissants are top quality. I heard they are the same ones Williams-Sonoma sells online. I like some of the Asian dumplings and bao. Plus normally expensive produce like fennel and artichokes. It’s true, they make more things possible in tight times. That’s probably why I feel that loyalty to them. I’ve never tried the TJ’s croissants but may because my daughter loves them for breakfast. BTW a nutritionist I know wrote a cookbook called Lighten Up with Trader Joes. Good ideas and recipes. It was published through Trader Joes publishing division but they can’t sell it at the store.